The wait is nearly over for fans of History's hit Vikings. Announced during the Comic-Con 2018 panel moderated by TV Guide Magazine's Kate Hahn, this series from Tudors writer Michael Hirst, will make its midseason 5 premiere later this year on Wednesday, November 28. Starring Alexander Ludwig, Gustaf Skarsgård, Katheryn Winnick, and Jonathan Rhys Meyers, among others, the historical saga last saw the Lothbrok family's divide deepen. And the midseason premiere will pick up with the arrival of Viking legend Dike Rollo (Clive Standen), who stirs up more trouble in Kattegat, which is still reeling from Ivar the Boneless's (Alex Høgh Andersen) new role as King. Bishop Heahmund 'is a warrior bishop,' says creator Michael Hirst. 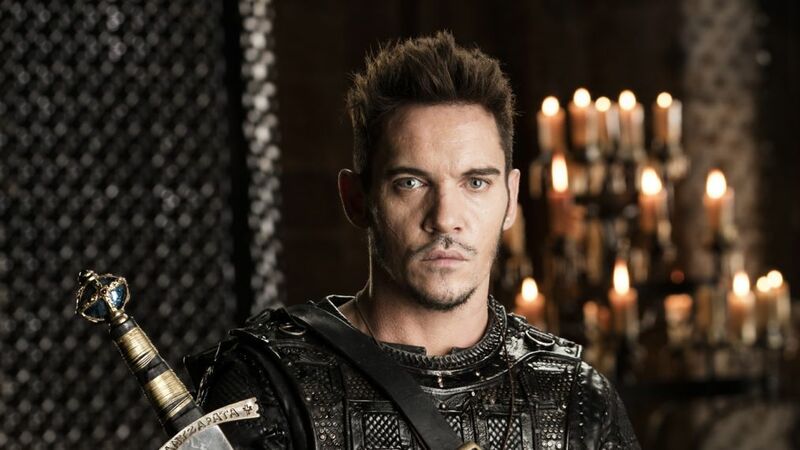 While Bjorn (Alexander Ludwig) and Lagertha (Katheryn Winnick) escape Ivan's forces with Bishop Heahmund (Jonathan Rhys Meyers), dark times are still ahead in this new Scandinavia. Floki (Gustaf Skarsgård), in the meantime, will battle the elements of Iceland as well as his "settlers' desire for revenge," in order to survive the harsh landscape.